Eagles are large birds of prey mostly found in the Old World, with more than 60 species being found in Eurasia and Africa. 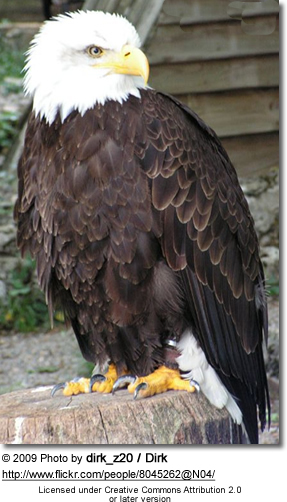 Only only two species - the Bald Eagle and Golden Eagle - are endemic in North America and nine more are Central and South American natives. 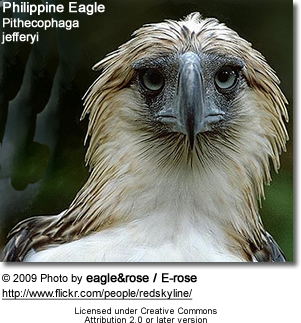 The White-bellied Sea Eagle and Wedge-tailed Eagle occur naturally in Australia and the Philippine Eagle in the Philippine Archipelago. 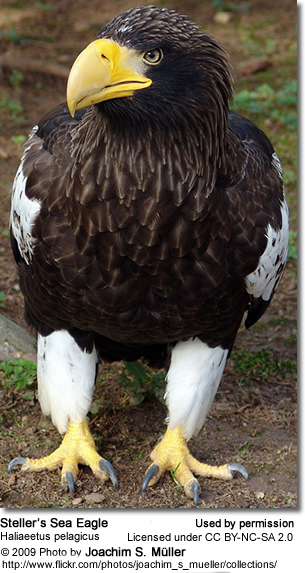 Eagles are sometimes used in falconry. Fish Eagles - Mostly feed on fish, snatched from the surface of water with the large clawed talons. Snake or Serpent Eagles - Named so for their favorite prey, which includes snakes, reptiles, lizards and occasionally small mammals. They are enerally smaller than other eagles. Found in the savannas and forests of tropical Europe, Asia, Australia, and Africa. Booted or True Eagles - Medium-sized birds of prey that were named for their legs that are are feathered down to their ankles. They breed in southern Europe, North Africa and across Asia; and migrate to Sub-Saharan Africa and South Asia for the winter. 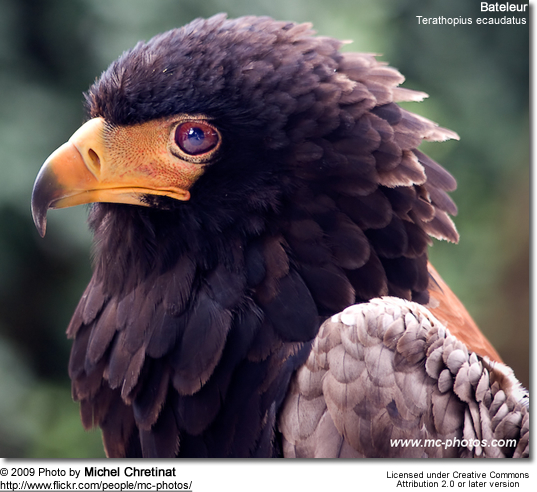 Harpy or Buteonine Eagles - Their scientific and common names were derived from the Greek word, harpe, likely referencing the mythological harpies who were winged creatures with sharp claws, a woman's face and a vulture's body. 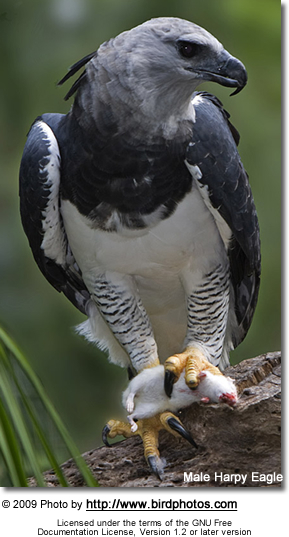 Harpy Eagles are amongst the largest and most powerful eagles. Their hind talons are up to the size of grizzly bear claws. Eagles can be identified from other broad-winged birds of prey by their larger size, more powerful bodies, and heavier heads and beaks. Most eagles are larger than any other raptors, the exception being the vultures. Eagles range in size from the South Nicobar Serpent-eagle, at 500 grams (1.1 pounds) and 40 cm (16 in), to the 6.7-kg Steller's Sea Eagle and the 100 cm (39 in) Philippine Eagle. 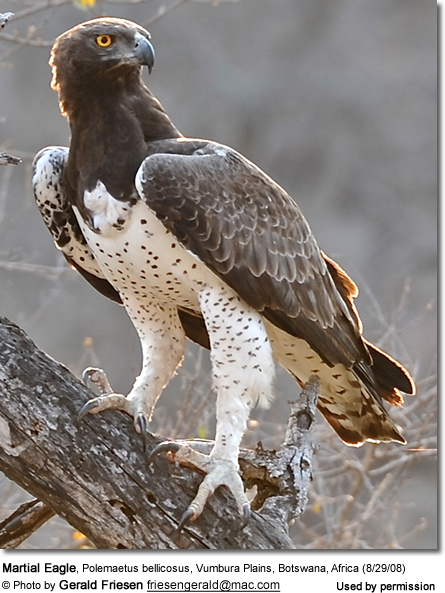 The smallest amongst the eagles (i.e., the Booted Eagles) are comparable in size to the Common Buzzard or Red-tailed Hawk , but are relatively longer, have more evenly broad wings, and their flight is more direct and faster. Eagles have very large powerful hooked beaks that are well adapted for tearing flesh from their prey, and strong muscular legs and powerful talons. 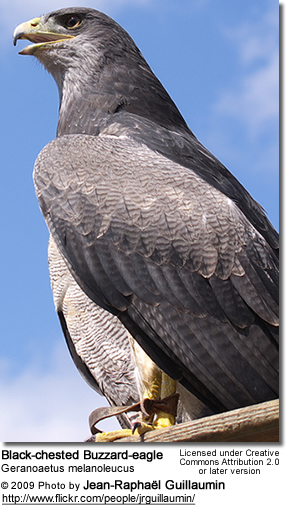 Their extremely keen eyesight enables them to spot prey from a very long distance. 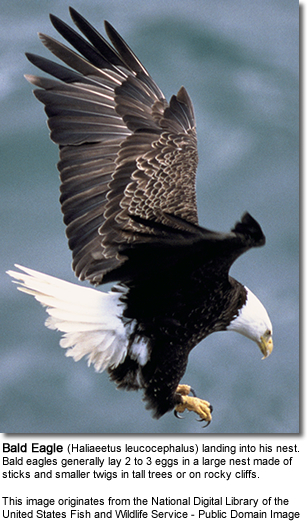 Eagles typically build their large nests, called eyries, in tall trees or on high cliffs. These nests can grow to 10 feet (3 meters) in diameter and weigh as much as 2000 pounds (900 kg). 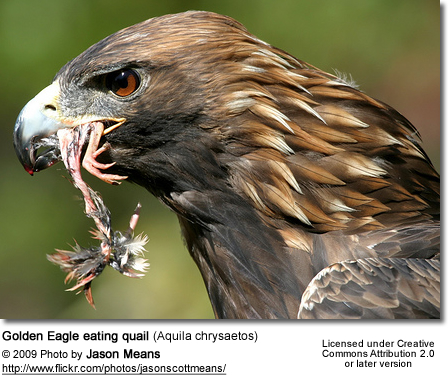 Many species lay two eggs, however, the older, larger chick often kills the younger one. The dominant chick tends to be the female, as they are bigger than the male. The parents are not intervening in the killing.